Sant Isher Singh Ji was born on 5th August 1905, in Alowal, a village near Patiala, in the family of Baba Ram Singh Ji, who was the head of that village. Baba Ram Singh Ji, was always yearning for the company of saints. Incidentally there came a saint to that village who while leaving, gave a rose to Baba Ram Singh Ji and blessed him that he would have a son who would be worshipped by the rulers and kings. After sometime, a son named Sant Isher Singh Ji was born and was taken to the Gurudwara. After seeing Sant Ji's hand, a pandit had made a horoscope and was aghast by seeing the 'an eye' like symbol in the sole of his foot. The symbol was read as a sign of being a great spiritual head or a king. Also, after the birth of Sant Isher Singh Ji, his father Baba Ram Singh Ji, started getting more and more respect and importance in society. Baba Ram Singh Ji was very keen in giving a good education to his son. After finishing primary education, Sant Isher Singh Ji was sent to Model School Patiala, a rare thing back in those days. Sant Isher Singh Ji did exceedingly well in school, and was an outstanding student in every field - games, studies, social work etc. He was very handsome too. All this made Sant Isher Singh Ji's personality very outstanding. Sant Isher Singh ji was always in search of the 'Truth'. Eventually he started going to the Gurudwara in the mornings and evenings and also started doing 'Kirtan'. Sant Ji then got the privilege of being in the company of Sant Atter Singh Ji, Mastuana Sahib and Sant Attar Singh Ji, Reru Sahib. Later Sant Isher Singh ji went to Sant Attar Singh Ji Reru Sahib with S. Hira Singh Ji where he was bestowed with 'Amrit' and was blessed that he would go a long way in the search of 'Truth'. Sant Isher Singh ji returned back to Patiala with a totally changed personality. In July, 1922, Sant Isher Singh Ji left home and got totally involved in looking after Sant Attar Singh Ji, at Reru Sahib. After a short time, Sant Kishen Singh Ji joined Sant Isher Singh ji to look after and to serve their 'guru' Sant Baba Attar Singh ji. Since then, both Sant Isher Singh ji and Sant Kishen Singh ji remained together. 1.) To be a firm believer of "atam marg" ( the spiritual path ), and to constantly practice and preach 'Nam'. 2.) To be always upright and never to beg for anything . Soon Sant Attar Singh Ji, Reru Sahib,demised from this world. His two young students - Sant Isher Singh Ji & Sant Isher Singh Ji moved out of Reru Sahib and came near Rara Sahib in a small jungle. They both started meditating and their 'samadhi' would last for hours starting from midnight. Since this was a very tough practice of the long sittings of meditation that Sant Isher Singh Ji's health started deteriorating and he became very weak. He was then taken to Delhi where Dr. Mukherjee treated him and S. Mohan Singh looked after him. Gradually Sant Isher Singh ji started recovering and came back to Rara Sahib and started accompanying Sant Kishen Singh Ji. In Rara Sahib, Sant Isher Singh Ji got immersed in deeper and deeper 'sadhana'. More and more people joined the building of a Gurudwara for Sant Ji. Then Sant Kishan Singh Ji was responsible for looking after the entire Gurudwara set up - Langar, buffaloes, cows, schools etc. and Sant Isher Singh Ji was responsible for going from place to place in India and abroad doing Kirtan, answering the questions of the 'Sadhaks' and preaching Guru Nanak's teachings. He changed thousands of people's lives and there are plenty of incidents that seem to prove this. After doing all this, Sant Isher Singh ji, laid off his body in England on 25th August 1975. 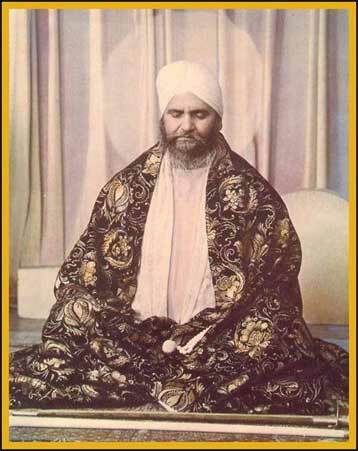 The founder and head of Vishav Gurmat Roohani Mission Charitable Trust, Sant Baba Waryam Singh Ji, had also gone to Sant Baba Isher Singh Ji, at the age of 16 and was his closest associate. Sant Baba Waryam Singh Ji has also touched the same pinnacles of spiritual heights like his mentor, Sant Baba Isher Singh Ji, and has dedicated himself in preaching Guru Nanak Dev Ji's message to the world. .·´`·.·´¯`·.› Maharaja Ranjit Singh ‹.·´¯`·.·´`·.